Apple's Remote app has been updated to version 2.0. The new app is now designed for iPhone, iPod touch, and iPad. It is optimized for Retina displays and large screen real estate on iPad along with support for Shared Libraries on iTunes and new Apple TV. There are also bug fixes and compatibility with iTunes 10 and the new Apple TV. 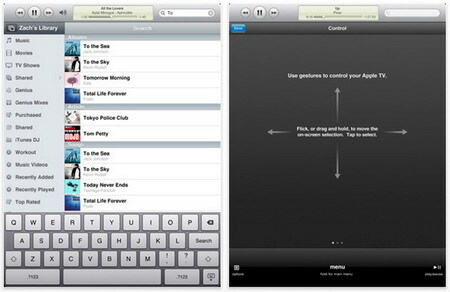 Remote is a free, fun, and easy-to-use app that turns your iPhone, iPad, or iPod touch into a remote control. So wherever you are in your house, you can control your computer’s iTunes library and your Apple TV with a tap or flick of a finger. Apple's Remote app 2.0 for iPad, iPhone, and iPod Touch is available for download FREE on the App Store in the Entertainment category. 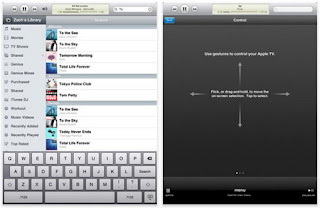 0 comments on "Apple's Remote app 2.0 for iPad, iPhone, and iPod Touch available for download"